Rafael Benitez demanded the Premier League introduces VAR "right now" after 10-man Newcastle United went down 2-1 at home to Wolves thanks to Matt Doherty's 94th-minute header. Newcastle were holding on for a point at St. James' Park on Sunday after DeAndre Yedlin was dismissed but Doherty nodded in from close range in added time after Martin Dubravka saved from Diogo Jota, who also opened the scoring. 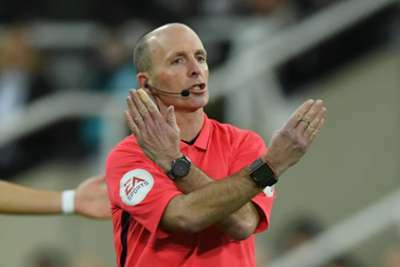 But Benitez strongly disagreed with referee Mike Dean's decision to dismiss Yedlin for dragging Jota to the ground, while claiming Ayoze Perez should have been given a penalty after a clash with Willy Boly in the Wolves box. Benitez made a gesture signalling for VAR on the touchline after Yedlin's red, with the technology set to be adopted by the Premier League for the 2019-20 season, but he feels that is too late. "We need VAR, right now. If you see the incidents today, I think we need VAR," an angry Benitez said to Sky Sports. "When you see the red card and the elbow on the face of Perez, we need VAR, right now. "The ball was far away and [Jamaal] Lascelles was close enough to see that it was not a clear chance. Yedlin was pulling him, but I will not talk about that. It was obvious the team was doing well, but it is difficult in these situations." Of the penalty call, the Spaniard added: "I don’t need to talk too much about the referees, but it is so clear, and these kind of situations kill our confidence." Perez, who scored Newcastle's equaliser with a glancing header, was also left baffled by Dean ignoring his appeals for a penalty after being left bloodied when he was caught in the face by Boly's arm. "I got an elbow in the face. The argument I got from the referee was that the ball hit my face," Perez told Sky Sports. "The ball was headed miles away from the defender. Even bleeding, he was still sure that the ball hit my face. It's quite strange. I'm still thinking about it and I can't believe it. "I don't know what we need to get a penalty or whatever is fair. We have to keep going, talk about football and the most important thing is that we improved a lot from the last performance at home. We struggled the other day against West Ham [losing 3-0] but, today, we didn't deserve to lose. "It's not that I want to complain or anything, but he elbowed me straight in my nose. I don't know what [the referee] saw, but how is it no penalty? I don't know what he needs to see or what needs to happen to be a penalty." Wolves boss Nuno Espirito Santo preferred to toast a second straight win for his side, also victors at home to Chelsea in midweek, rather than dwelling on Dean's decisions. "I haven't seen the image yet," he said to Sky Sports when asked about Boly's apparent elbow on Perez. "Don't always ask me about the referee, please. "I know it's a tough job. You're always asking me about the referee. It's a tough job. Sometimes he gives to you, sometimes he takes. He always gives what he sees. Let's talk about the game."